Coach challenges readers to run and cycle from Buckingham Palace to Edinburgh Castle, plus Channel 4 and Sky co-invest in an online tool that helps TV rights buyers and sellers connect and close deals. 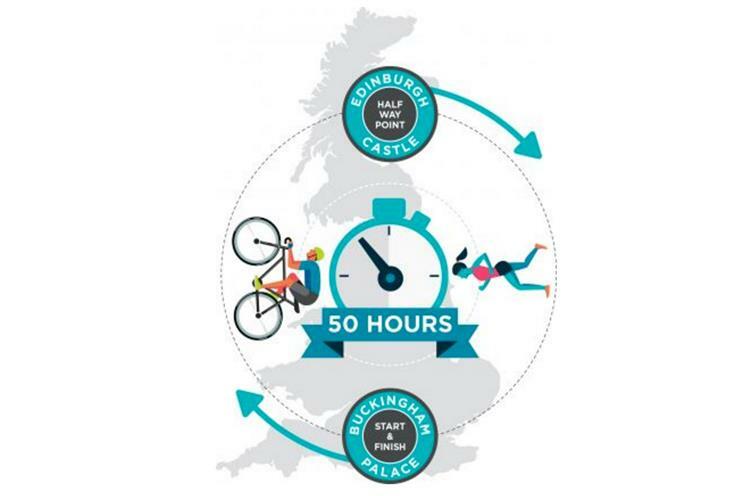 Coach, the Dennis-owned free sports title, is challenging readers to run and cycle from Buckingham Palace to Edinburgh Castle and back in 50 hours. The magazine has teamed up with Fitbit, the sports tech manufacturer, to launch the Fitbit Fifty endurance challenge. The event will take place between 30 September and 2 October and will include two teams of six people. Each amateur athlete will run up to 50km and cycle for up to 16 hours. Those who take part will receive training from professor Greg Whyte, a former Olympian, who says the event is suitable for people who have competed in Ironman competitions. Channel 4 and Sky have co-invested in an online tool, The RightsXchange, which helps TV rights buyers and sellers connect and close deals virtually. This means international deals will be easier to secure. It is the first time the two broadcasters have invested in a start-up together. Channel 4’s Indie Growth Fund and Sky have each invested an undisclosed figure in the second round of funding, which has raised £5.2m. Snapchat has come under fire after users claimed one of its filters was racist. Katie Zhu, a software developer based in San Francisco, said the function was "a blatantly racist yellowface filter… a derogatory and offensive caricature of Asians" in a blog encouraging people to delete the photo- and video-sharing app. She described it as a "prime example of what happens when you don’t have enough people of colour building a product". Snapchat said the filter was related to anime characters and it will not go back into circulation.